My wife Lee both have been on social media for about four years. 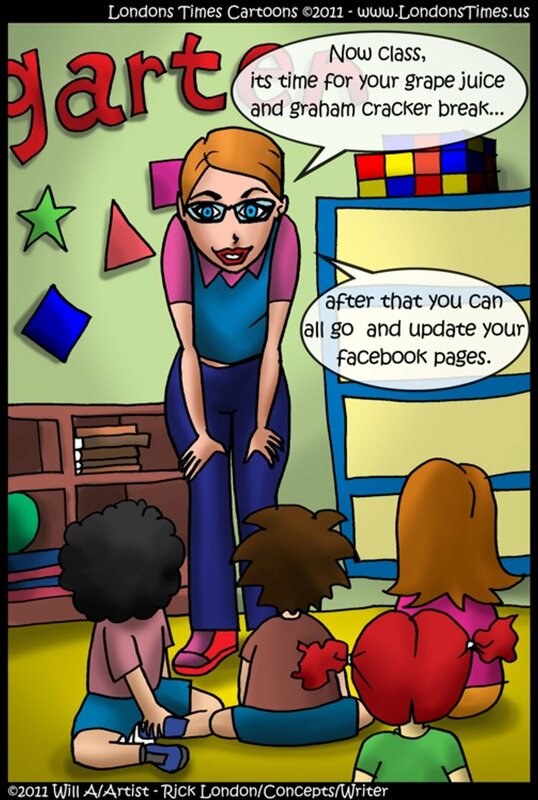 And though it seems (to many) we are “facebook addicts”, we utilize Twitter much more often. Facebook is often “more fun” because we get to find old friends and/or relatives of whom we may have never been in contact again. Twitter is fun because we meet so many new people; and keep constant contact with new friends made for years. Between the two of us, we have close to 70,000 followers on Twitter and perhaps 3000+ on facebook (given our personal pages, fan pages and groups). Though I can honestly say more than 99% of our cyberfriends are very well behaved, or ambivalent as to our activities and rarely comment, the remaining 1% are the loudest, the crudest, and cruelest. They live to hurt. Sometimes they succeed, and if we can help it, sometimes they don’t. Early on we met some of the “usual suspects” that is the “Internet crazies” about which most of us have been warned. At first, we hadn’t a clue how to handle them (people with no healthy boundaries, bullies, crooks, life coaches (I know, I know crooks and life coaches is redundant), plagiarists and others irritating characters. We’ve read informative articles on how to avoid them, not get baited into their cyberfights (which is where they feel they get their “power” and delete them, and I’d taken classes when I went back to college a decade ago which gave some useful instruction. Finally, we got it right, or so we thought, by simply blocking rapidly. That often remedied much of it, but not all of it. Bullies are rarely lone-wolf renegades. They are, for the most part cowards, and “travel in packs”. They may not even know each other or associate in real life, but they are there covering each others backs, in case people like us decide to fight back (they quickly become “the victims”). It never fails. When blocked, especially if it is someone you have once known (and liked) many years ago, feelings can be hurt. We feel “lighter and more free”, however when we take action immediately. Nobody has the right on your facebook page to dictate to you what you should write, what you should think, how you should act, how to feel, how to vote, what to believe, etc. That’s not just bad manners. The person doing it has a serious compulsive illness and truly needs professional help. For goodness sake, we are in our fifties. Do we really need that from people who think “we haven’t seen and/or heard all that before”. As Eric Clapton once sang, “Don’t Show Me Anything New, I’ve Seen It All Before”. And though I agree with the spirit of that song; of course there are elements of life I don’t know, and I’m learning every day. But when anything is force fed to me in the way of “useful information” or someone is bullying me into “how to think”, they are a part of the history, a negative memory in my life; but not totally negative, because even with the very worse, I’ve learned “But for the grace of God, there go I”. Several weeks ago I was bullied on my personal facebook page by (at first) one person I’d met on facebook who, it turned out had forged a friendship and suddenly was “a best friend” in a regional shared memory facebook group. I didn’t notice the bullying at first. 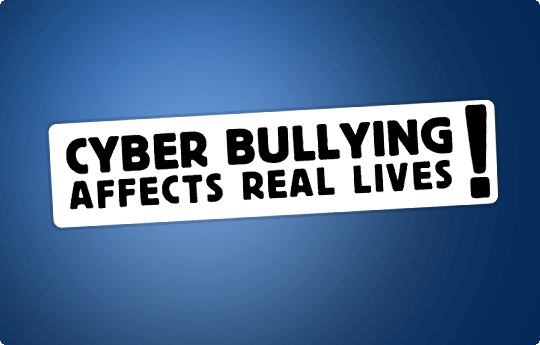 The victim of bullying usually does not notice at first, since it may be a rarity in his/her life or maybe one is bullied often and it becomes “the norm” hence unnoticable. I have about 6 groups on facebook. This particular group is a popular (and is modeled as a safe one given its strict TOS regarding fair behavior) of which I founded and am administrator and personal attacks are not allowed. Nor is using the group to “meet dates” and following them to their pages (unless that is clearly acknowledged by mutual consent) etc. In other words, “Insane Cruelness Is Not Allowed Within The Group Nor Any Other Form Of Trickery”. Or the member is gone, deleted permanently. One month after founding it came the complaints, all from women, most of whom I knew and had known for a lifetime, and they came fast and furious at times. And I’ve known them to be honest and non-rumor spreaders. Their theory was he was using the group to meet women and hit on them; and “taking over their personal pages”. The actions of the main bully was not innocent or benign. There was a common thread in the complaints that he took over their pages and in some cases made sexual innuendos. They were not aware of how to report it; a few were but didn’t think it would help; so they’ve all blocked him, but…they quit coming to my group because he (and his gang) were in it, and my hands were tied as to how to kick him out. He was well behaved….there in my group. His sociopathic behavior was uncanny and consistent. Jeckyl in my group, Hyde on women’s personal pages (often ones he’d met in the group). After this well-behaved in the group lead bully did his dirty deed on my personal facebook page, trying to dictate to me what to post and what not to; I simply blocked him. But I knew I’d be unable to see what he was writing in the group. Thank God for friends. At least 4 of them had copy and pasted his vitriol against me he’d posted in the group and sent it to me. It was full of vitriol and personal attacks and finally he’d melted down in the group (along with a few of his “male groupies” and I was able to delete him and his band of thugs from the group permanently. Within two weeks we had 100 new members; about 70% women. My only theory is that my group had developed such a bad reputation due to his (and his buddies behavior) they were frightened to join). Now they are in full force and posting nonstop. It is more successful than ever with the troublemakers gone. Funny how that works. The culprit had hit on the ones complaining to me, and they told me they didn’t know if I was endorsing his behavior or not; but seemed like I was because he seemed to be “my best online friend” in the group where he was a perfect gentleman; very crafty. I couldn’t remove him because he was breaking no rules in the group; only using the group to meet the women and harass them on their own personal pages (as was his male groupie following). It confused my old female friends though, as that is not my modus operandi to even come close to that kind of behavior. First, I am happily married and don’t hit on women, married or single. Second I don’t associate in real life with men (or women) who don’t respect the sanctity of marriage. I am not a moralist and don’t in any way believe I am “better than them”. If they want to do that, that is their business. But I simply don’t want nothing to do with it. Even a simple life can be complicated. Why add to it with people who don’t have your best interest in mind? I don’t like to be a secret-keeper. I don’t like to hide other’s secrets. I don’t trust people who have those kinds of secrets. And I’m usually correct. One of the women revealed to me that a mutual friend had started another southern regional group on facebook over a year ago similar to mine, and allegedly, according to several members, the same culprit took it over and bullied and intimidated them so terribly, she shut it down. My method (in my group) of now nearly 1000 happy people, is block and block more if need be as his “gang buddies” kept showing up asking for a reprieve. My job as group administrator is to uphold the rules, not allow personal attacks or provocative political/or religious attacks and watch for the safety of the group. I demand that of myself (and so does facebook). 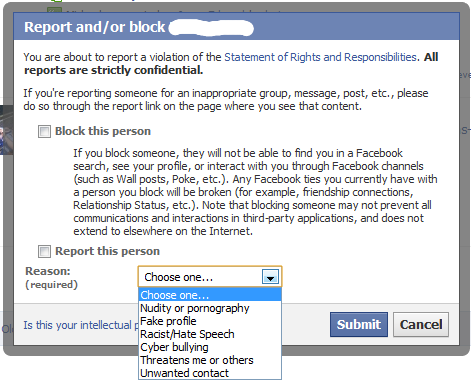 Then as facebook requests, I report the abuse here and facebook does listen and monitors them carefully after that. And they highly suggest you do too when you see it. It doesn’t have to be in a group. It can be on your own page. And it doesn’t have to be sexual or even hate speech. It can be someone dictating to you what you should or should not be posting. Yes, that is real bullying, pure and simple. And facebook does not like them hanging around, at all. This includes everything from harassment, bullying, hate speech, cyber-stalking (or taking over your group or personal facebook page) and a myriad of other no no’s of which facebook very much frowns upon. Then came the Trayvon Martin case. Even though most of my personal page is generic and is more humorous than anything else, I tend to post important news events. I felt that one was important because I discovered that, like in Iran, Syria, former Libya and Iraq, a minority had been killed, and the state “let it go”. Case closed. Wasn’t that one of the main reasons we were sending all our young people to those countries to be in harm’s way to teach them that is not the way justice is done? I had no opinion over if George Zimmerman was and is guilty (even though my instincts tell me he is). That part was and is not important. What is important that we are better than the countries of which we are at war. And the way we prove that is with civil legal cases; especially in the realm of murder and other serious felonies. Not just a case closed on the state’s opinion. The man in my group came to my personal page where I was posting (I didn’t post it in my group as I would have been breaking my own rules; nothing of that nature is posted nor are personal attacks, etc). He began telling me I was siding with the Black Panthers, Al Sharpton and Jessie Jackson. At first I felt sad, because I so hoped they wouldn’t jump in and exploit such a situation as they often do; just as I did that an armed neo-nazi group had also convened upon Sanford, Fl. “to protect the citizens and make sure justice was served”. Regarding Jackson and Sharpton. It’s rare that I agree with them, but I have to admit that even a broken clock is right twice a day. All of those clowns understand that their very presence impedes justice because they just cost the city that much more in taxes and overtime to TRULY protect the people from the exploiters (and protect the exploiters from themselves). It gets very expensive when such groups enter town to further their agenda (and see their mugs on tv) and very much slows the wheels of justice. Good, they’ve left and justice is beginning to be served. 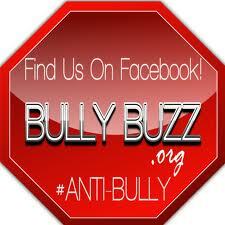 Then came a “group of facebook thugs” that I discovered were part of “the main bully’s camp”. They are all gone from my page and blocked from the group as well. The final straw is when one of them requested I post more humor; maybe something like “When Eric Clapton’s baby fell from the high-rise to his death”. Of course he was blocked immediately but I decided to leave the post up on my personal page, since he apparently had a reputation as being an “upfront guy” in my region of the south; and I wanted them to see who he really was. I will leave it up forever. Bullying I can handle. Cruel “humor” involving the loss of a grieving family member is mental cruelty. So, within a week or so of drama, it finally ended to my knowledge, though who knows. Usually when people are that emotionally ill; they will hold onto a resentment for a lifetime. So I did what I was told to do by former college professors. I cut and paste everything and sent it to facebook security who will now be watching these bullies at every move. I wish them luck. I explained to a close relative who is also a friend on facebook what had happened who responded, “It is your Constitutional right to post what you wish, but I really wouldn’t do it on facebook”. I looked at my relative’s page and there was a “Sign A Petition For Trayvon” on it. I took a screenshot in case the relative had no awareness of the bullying; or that the said relative may be sucked into the group. After all, after I deleted one of the bullies from the group, I noticed he had friended my relative just 2 days later. He had known my relative all his life and known my relative was on facebook for years. So I knew he did not “friend” my relative for a simple “hello”. He had more of a Machaevillian scheme in mind. Someone else had tagged my relative and put the Trayvon petition there. But he never removed it as he was not even aware it was there until I finally told him. I didn’t know. I thought by age 50 perhaps this relative had come to his senses, and in spite of the status quo of the geographic area, the relative had come to the conclusion that all races deserved equal rights. In other words he finally felt mature enough to speak his heart, and not continue to appease his peers as if in grade school. It was not to be. The relative deleted the post as soon as I pointed it out; never thanking me for pointing it out to him. I was still “the bad guy” for posting an injustice regarding a minority on my own facebook page (the same post he had on his, but claimed not to know about it). Hmmm. There is some interesting irony for being chastised in an email; only for the emailer to find they are heralding the same message on their page. This relative lives in a culture where thinking for oneself is more or less a crime. The correct adult brave non-cowardly response to me would have been, “Though I don’t agree with you on what you have posted about the Trayvon case, I salute you for being brave enough to speak your mind. This is a free country and it is what makes us different than say, the former Soviet Union or Iraq. Thank God you have the thinking ability to go against the grain if need be. To speak your mind when you feel something is right even if you know you know it could result in conflict. And though I disagree, I will agree with you regarding why this case *had* to make it to court. Otherwise we really have no business fighting and educating other countries on the beauty of democracy.” He didn’t quite say those words, just more like “Don’t let it happen again..it could affect me hence my business”. Instead, his response was predictable. That of the coward who is stuck in a situation of thinking he’ll never get to live a real life. Never get to speak what’s in his heart. That he will have to die bitter knowing he will have to tow the line of his peers or perish. The great irony is none of that is true but the opposite. Yes it is scary to walk away from the status quo for a few days. But once one has found one’s independence there is no turning back. It’s why our founding fathers fought as hard as they did (they were fighting against bullies dictating to them how to think, believe, live and act by incorporating a very fundamental religion in to government (Church Of England). Our founding fathers ran for their lives and they made it. The group is to post shared memories and/or photos of birth hometown or other parts of the south and the group is a safe harbor where they know they are not going to get attacked, or if they are, the attacker will be gone within a day. And it works. At least 10-20 people post daily and close to 50-100 drop by to see what is going on (even if they do not post). And they live everywhere from California to Norway and anywhere in between. They are not all southerners, but people interested in southern culture. So in our group the get to see the best of the best; the sharing of memories with no political or racial overtones; and occasionally the worse. And they know when they see the worst, they will be deleted from the group as rapidly as possible. And they write me emails and send private messages how much they appreciate that. I heard one friend tell me her facebook page is like her living room. She is happily married. She said can post whatever she damned well pleases, and others may too as long as they are not hateful, racist, sexist, etc. or they simply get blocked. And she was one of the ones who was sexually harassed by the main bully in this story. She (and several others) felt they were also definitely cyber-stalked by him. Whatever page they were on, he showed up immediately after to make a comment under hers. 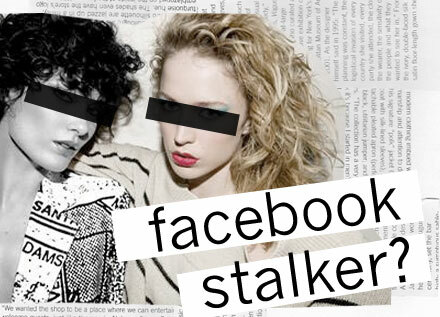 That is cyberstalking. If that has happened to you, it needs to be reported. 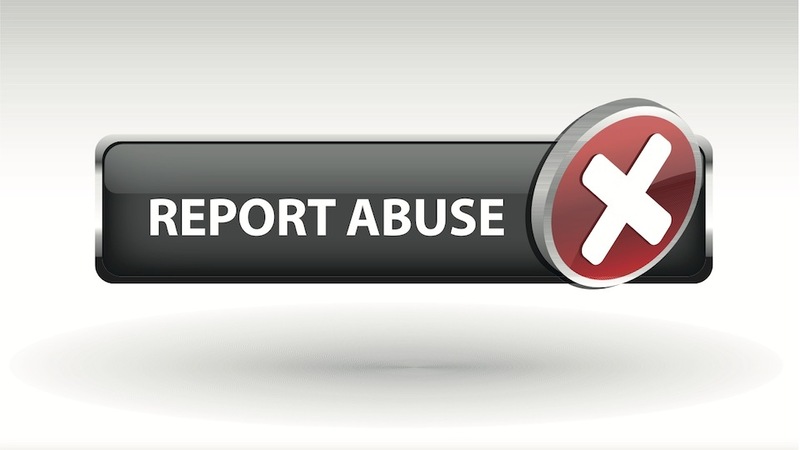 No matter who the person doing it is, what their station in life is now or has been, it has to be reported. facebook strongly suggests it because if you don’t, they will do it again and again. It is an illness, not just bad manners. Our founding fathers fought very very hard so that we the people could think for ourselves and write and express ourselves as we please as long as we do not harm others. Our personal facebook pages are a perfect example of that freedom. If we only use them to post what we think others want to see posted so they will “like us”, we’ve missed the mark. We post whatever we please, and if someone does not like it, they do not have a right to dictate to us what is and isn’t right to post. In fact our founding fathers would frown considerably at an action like that. Do we really want to let our Founding Fathers down? No bully EVER is going to talk me into letting them down. There’s another term for it. Don’t tread on me. And if I may humbly speak for my group, “Don’t tread on us”. 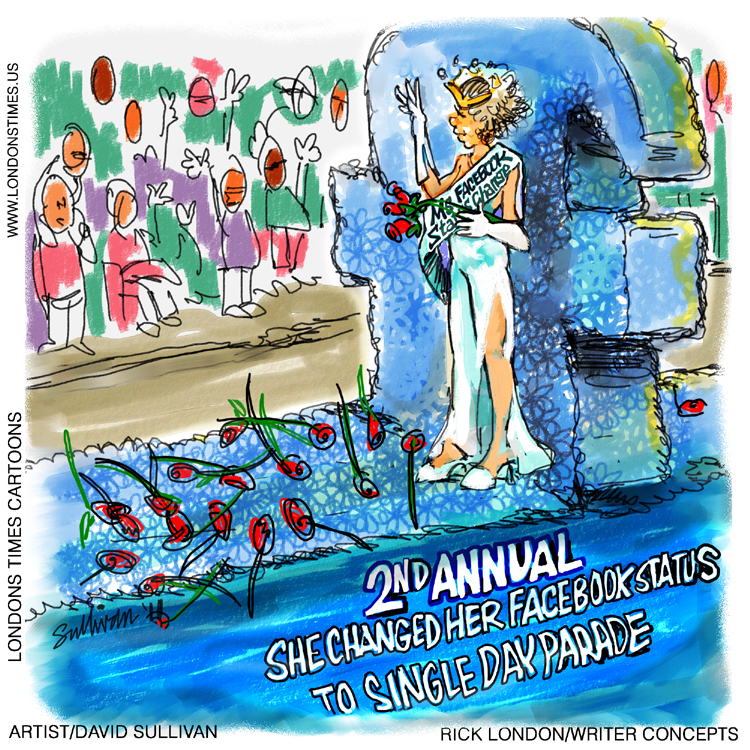 Rick London is a freelance writer and fascinated with social media. He founded Londons Times Cartoons in a tin shed in rural Ms in 1997 which has become Google & Bing’s #1 ranked offbeat cartoons & funny gifts. He also founded numerous shops featuring his licensed images such as Planet Hoodie which features his funny hoodies. He is married to nature photographer Lee Hiller-London who founded Hike Our Planet blog in 2009. They are both avid hikers and nature loves and hike the beautiful Ouachita Mountains of Arkansas regularly.